Did EO Really cheat on Amelia Monét? 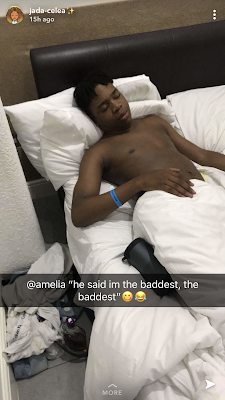 Ever since an Ex-Friend of Amelia Monét posted this photo below of rapper EO sleeping on her bed naked, Amelia & EO have been posting less videos together. Amelia has not commented or responded to the situation at all, she has chosen to ignore it & not let people begging for attention affect her. Amelia has recently been doing some proffesional modelling for Wonderland Magazine .